The 7th World Congress on Engineering Asset Management (WCEAM 2012) was held at the Daejeon City Convention Centre in Daejeon City, Korea from 8-9 October 2012. Close to 200 delegates participated in the congress this year through the support of the Korean Standards Association and DNV. This year’s congress was jointly hosted by the Korea Engineering Asset Management Association (KEAMA) and the International Society of Engineering Asset Management (ISEAM) in recognition of the growing interest in asset management in Korea. The conference opened with addresses by Mr Chang Ryong Kim, Chairman of Korean Standards Association and Mr Sang Duk Park , the Vice Mayor of Daejeon City. Dr Woo Bang Lee, the congress chair and Professor Joseph Mathew, Co-Chair also offered their words of welcome to the delegates. The theme of WCEAM 2012 was “Towards Integration and Interoperability:, while the format of the congress covered a wide range of topics. Interoperability – or lack thereof – is a significant issue across a range of industry and services sectors. A complex challenge to overcome in practice, interoperability fundamentally comes down to managing information flow between the myriad operational systems found across any modern organisation. Due to their complex nature and multi-stage lifecycle, asset enterprises such as Government owned infrastructure organisations and large private asset owners find themselves particularly susceptible to the challenges of making different technical platforms interact. Engineering asset management has evolved as a specialised field dedicated to the optimisation of such organisations. It focuses on the strategic, whole-of-life management of infrastructure and large scale assets to ensure optimum performance. Not surprisingly, interoperability is seen as a core issue. The vast range of systems and technology platforms implemented across an asset’s lifecycle – from design and construct, to operational maintenance, and de-commissioning – are not built to ‘talk’ to each other. In fact, they are mostly incompatible, collecting different types of data about an asset’s performance that are rarely able to be compared side-by-side in order to ascertain the best way to achieve optimal results. For example, the technical platforms used to design and build large infrastructure assets are different to those used to manage and maintain them. Design and construct platforms cannot accommodate operation and maintenance functionality such as sensor placement and output. The consequence is massive inefficiencies as a result of replicating the information for operating systems. Simply put, the need for interoperability is costing asset organisations billions of dollars globally.  With so much at stake, it seems pertinent that the 2012 World Congress on Engineering Asset Management (WCEAM) focused on the issue. Historically, Korea has been a world leader in the interoperability space, particularly in relation to integration of its 23 nuclear power stations. Dr Lee Woo Bang – past Executive Vice President of the Korea Hydro and Nuclear Power Company and Visiting Professor of Pukyong National University, and the driving force behind its integration project, opened the conference keynote presentations highlighting his experiences with Korea Hydro and Nuclear Power Company, He has worked at the enterprise level of utility assets planning, acquisition, operation and maintenance for 35years and has made significant advances in the area of interoperability in asset management. 1. Dr Woo Bang Lee: Chairman, Korea Engineering Asset Management Association, Past Ex-Executive Vice President of Korea Hydro and Nuclear Power Company (KHNP) and Visiting Professor, Pukyong National University, Korea. Title – Systems Integration for asset management at KHNP. 2. Alan Johnston, President, MIMOSA and Dr. Nils Sandsmark- POSC Caesar Association General Manager. Title – Standards-based Interoperability in the Oil and Gas Industry. 3. Stephen Saladine, General Manager Production, Delta Electricity. Title- Achieving efficiencies in Engineering Asset Management at Delta Electricity, Australia. 4. Adj Professor David Hood, National President, Engineers Australia, and Founding Chairman of AGIC and Co-Leader Sustainability and Organisational Performance, CIEAM. Title – Achieving Sustainability Outcomes from Infrastructure Asset Management. 5. Professor Kee Bong Yoon, Director, Energy Safety Research Center, Chung Ang University, Korea. Chairman, Government-Public Joint Committee for Safety Auditing of National Energy Facility. Title – Assets Maintenance Environments. The paper sessions were vibrant and the socials and dinners were of an excellent standard. The conference dinner highlight of the conference dinner was the award of the first ISEAM lifetime achievement award to Professor Bo Suk Yang, a foundation Fellow of ISEAM who passed away early in the year. Mr. Seung Uk Yang received the honour on behalf of his late Father. All papers published in the proceedings have been refereed by specialist members of an International Review Panel for academic and technical merit. All this activity would not have been possible if not for the sponsors of WCEAM-AGIC 2012, who were DNV, Daejeon Convention Center (DCC), Korea Tourism Organization, Gyeongsang National University , PI. Several asset management systems vendor companies mounted exhibition booths in the open area of the congress venue. They were: Korea Gas Technology Corporation, DNV Software Korea, Asset Technology Group, Vision IC, and ON Technology. Organisers: WCEAM 2012 was chaired by Dr Lee Woo Bang of KEAMA and Prof Joseph Mathew, CIEAM. The Chairs are indebted to the WCEAM 2012 Organizing Committee chaired by Associate Professor Byeongkuen Choi, Gyeongsang National University with contributions from Dr Andy Chae of Korea Institute of Construction Technology (KICT), Dr Lim Gang Min of ATG, Ms Youngshin Hong of Korean Standards Association, Professor Lin Ma of Queensland University of Technology, Australia, Dr Terry Lin of Queensland University of Technology, Australia and Betty Goh of CIEAM, Australia. The Chairs are also indepted to the team that assisted the Organising Committee in the compilation of the proceedings particularly Dr Michael Cholette, Dr Andrew Furda and Dr Yu Yi, all CIEAM Researchers located at QUT. The next congress in the series, the eighth, will be held in Hong Kong together with the 3rd International Conference on Utility Management & Safety (2013), from 30 October to 1 November 2013 and will be chaired by Ir Dr King Wong of the Community and Construction Professionals’ Development Centre with Ir Dr Peter Tse, City University of Hong Kong chairing the Organising Community. For more information, please refer to www.wceam.com.